At Tartina, casual rhymes with elegant. 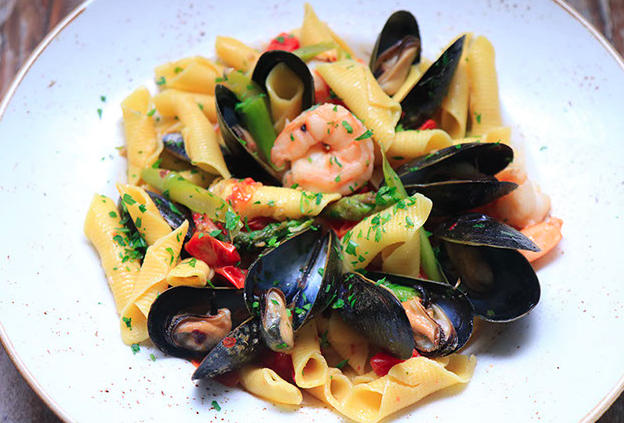 From the impeccable presentation of the dishes to the personable service, that is just the cherry on top of an exquisite, authentic Italian cuisine crafted with the finest, seasonal ingredients in the tradition of the Mediterranean Diet. The pristinity of the food selection is guaranteed by the mastery of Chef Federico Terminiello who brings all of the richness of the culinary tradition of Sorrento, Campania in the South of Italy where he was born, to the plate. 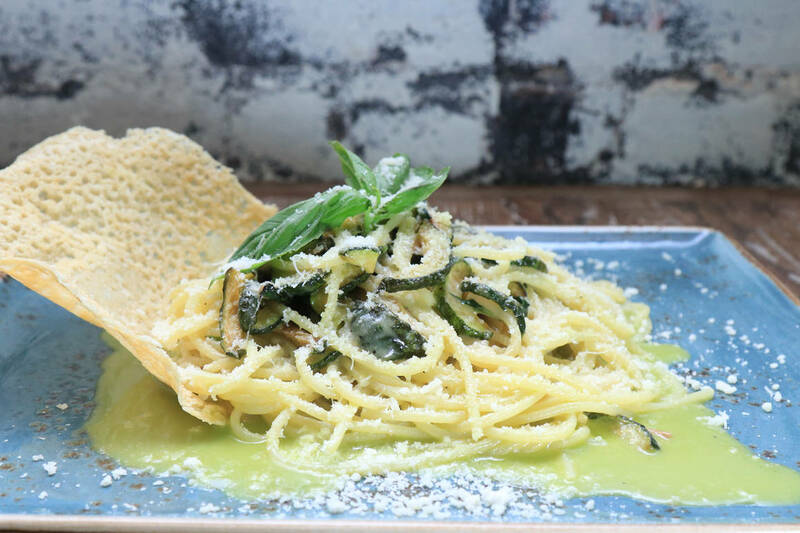 Spaghetti alla Nerano - spaghetti with swirled Grana Padano and sautéed organic zucchini served with a homemade shell of Grana Padano, is one of his masterpieces. 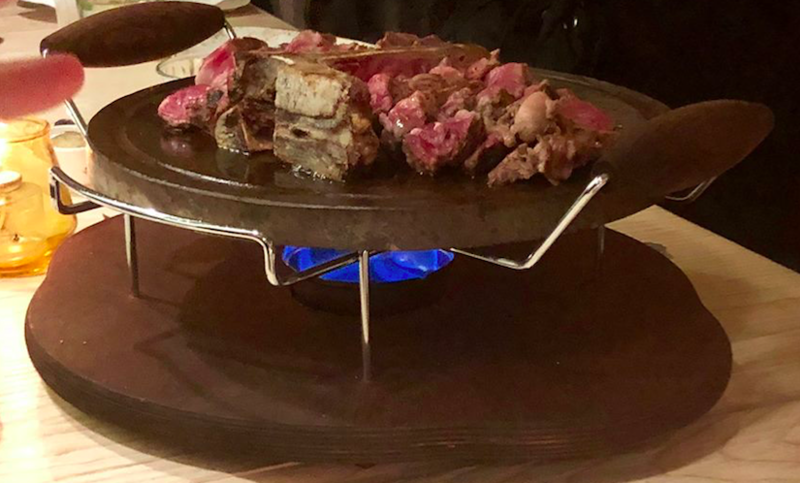 Among other delicious dishes, you certainly can’t leave Tartina without experiencing one of the gorgeous steaks served on an eye-catching Lava Stone. Savoring the dish while being immersed in the enveloping tones of black, whites, grays, and rich woods will make you feel like you are dining in a typical Sorrento trattoria with the beautiful landscape of the bay graced by the vision of Mount Vesuvius on the horizon. Brunch - Italian style - on weekends is the neighborhood’s new trend. It features outstanding cocktails and satisfying selections such as a signature homemade chicken biscuit in a mouthwatering homemade sausage gravy, as well as a traditional creation of Pan d’Oro French toast. “Mangia bene e vivi 100 anni (eat well and you will live for a 100 years),” is Chef Terminiello favorite motto and the whole philosophy behind Tartina. “Our personal goal was to get the heart of Italian wine and food and the experience of eating in Italy– simple and traditional – to this refined neighborhood” says Maria Teresa Valestra and Carlo Di Giulio, partners of the restaurant. The restaurant is open Sunday through Thursday from 12 PM to 10 PM, and on Fridays and Saturdays from 12 AM to 11 PM. Guests can enjoy their meal at the bar as well as tableside. Tartina also offers take-away and soon, delivery services.